WARRANTY It is offered with 1-year warranty and lifetime friendly customer service. 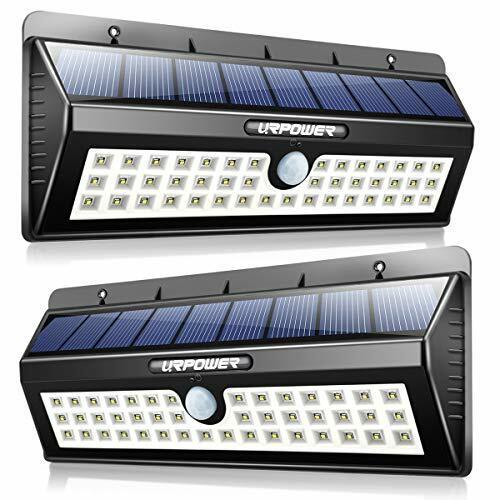 Description InnoGear solar lights with 29 LEDs which create a wider range of luminosity. 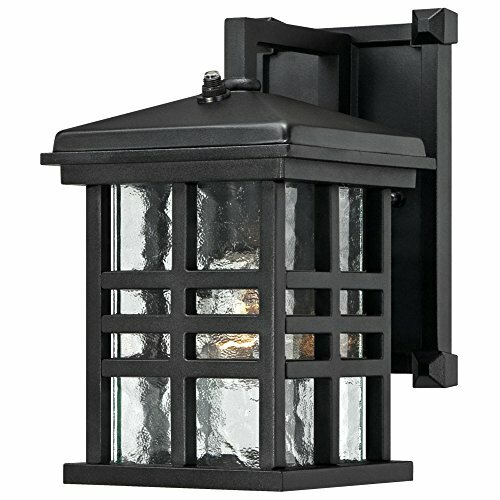 With sensitive sensor ball head, this solar powered light can detect motion up to 23 feet away at a 120 degree angle. It automatically turns on when it senses the motion of someone driving to your house or walking to your door. 4 Working Modes Long press ON/OFF button, light blinks once, auto lights up in 1/4 brightness. 2nd press ON/OFF button, light blinks twice, auto lights up in 1/2 brightness. 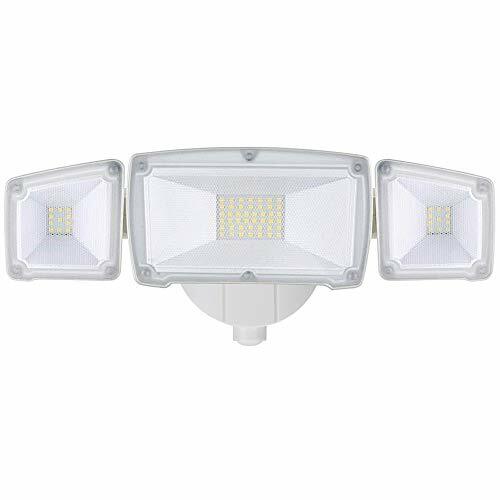 3rd press ON/OFF button, light blinks 3 times, auto lights up in dim mode and turns into full brightness when motion detected within 23 feet. 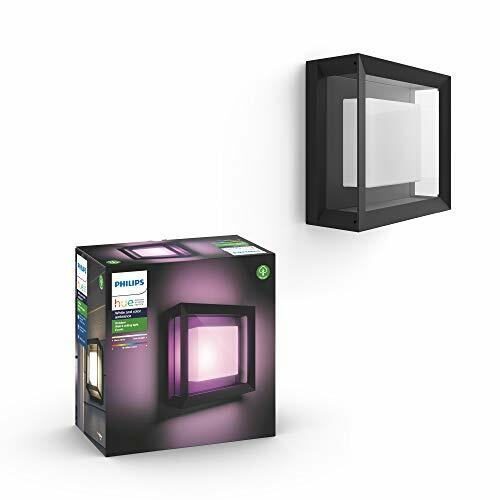 4th press ON/OFF button, light blinks 4 times, auto lights up in full brightness when motion detected within 23 feet, auto turns off when no motion detected. 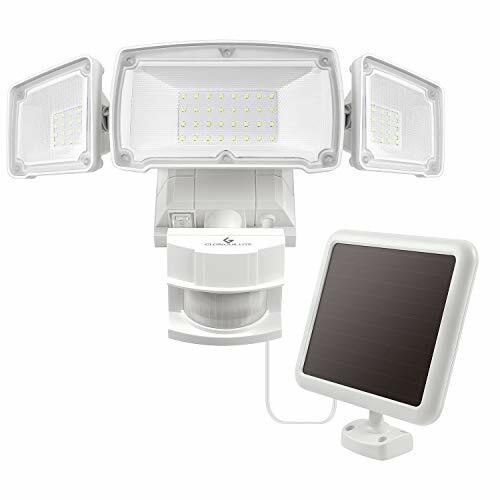 Specification Solar panel: 5.5V 1.5W 29 LEDs: 1.8W Color temperature: 6500K Flux: 400 lumens Charging time: at least 8 hours Installation Height:2.5-3m (8-10ft) Package Content 2* InnoGear Solar Gutter Light 2* Screw Set 4* Aluminium Pole 2* Metal Fixed Plate 1* User Manual Note 1. Please make sure to turn on the switch before use. 2. Please install the light in places where direct sunshine comes in. 3. As a solar powered product, on cloudy days or in winter, it needs longer time to be recharged and the working time maybe shorter. Notice 1.Turn on the light by pressing on/off switch, no need of pin. 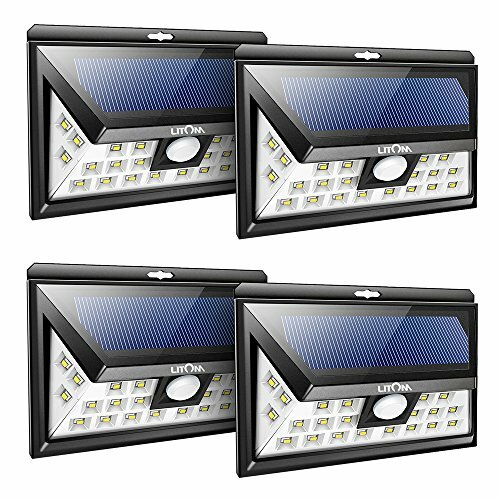 2.As a solar powered product, the working time of the light is weather sensitive. 3.The light blinks if its battery power gets too low. Please charge it under the sun, or it will turn off soon. 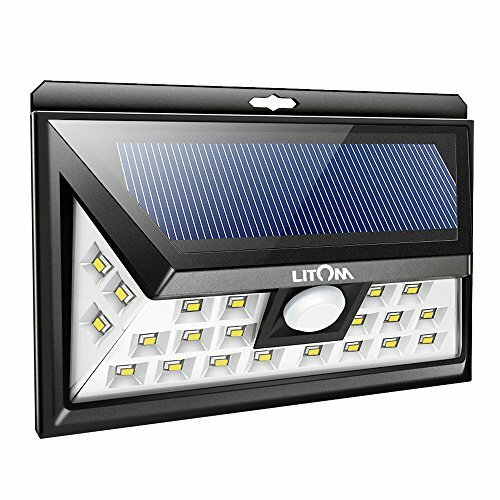 Upated Solar Panel: Larger panel with 2200mAh Capacity, getting faster charging in less sunshine environment. 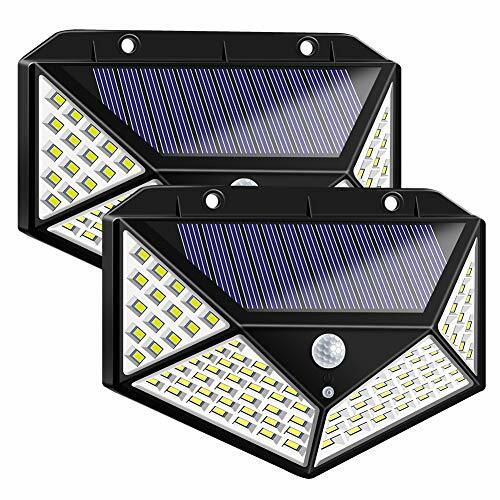 29 Super Bright LEDs: Produce over 400 lumens to provide lighting and security to your garage, pathway and more. Detachable Extension Pole: Easy installation. Use with pole to extend away from eave to get max solar energy. 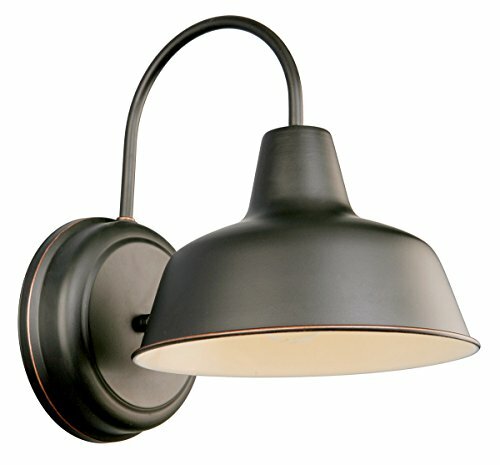 Use without pole and mount as a wall or fence light. 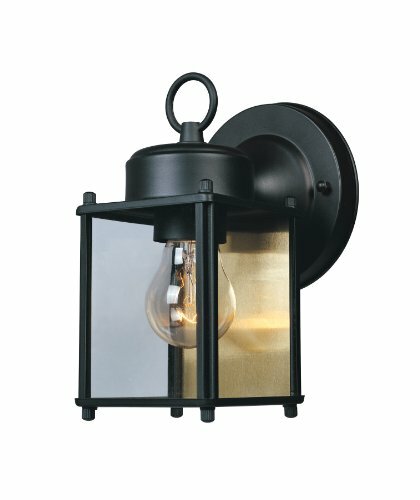 Get savings without sacrifice with the Westinghouse Caliste One-Light Outdoor Wall Lantern with Dusk to Dawn Sensor. 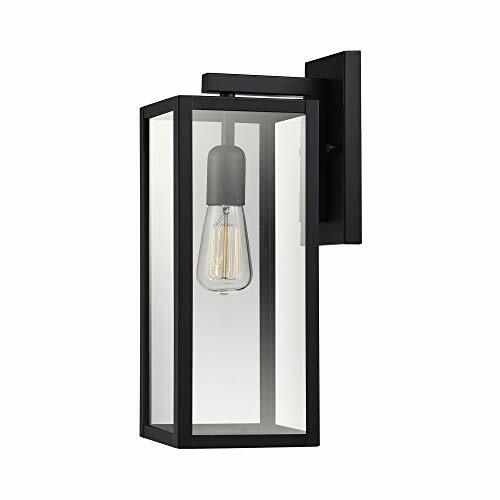 Constructed of aluminum with a textured black finish, this durable lantern has transitional style with clean lines. The clear water glass complements the textured black finish windowpane design. 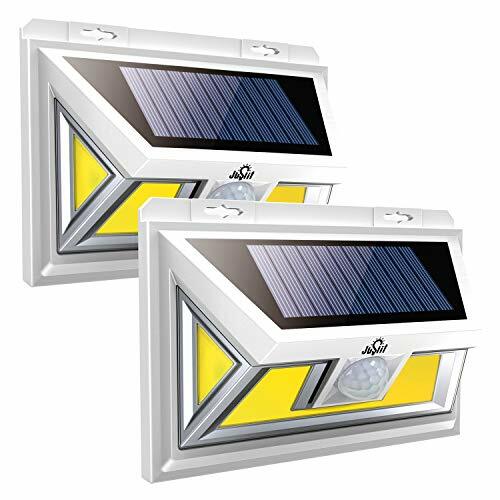 The built-in dusk to dawn photocell conveniently turns the light on at night and off in the morning, saving you time and conserving electricity. 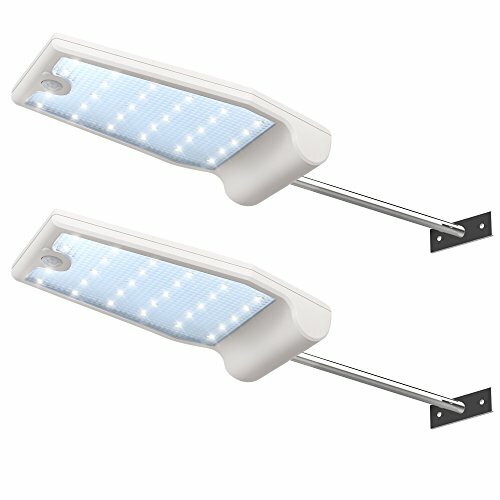 Why choosing our solar motion sensor lights? 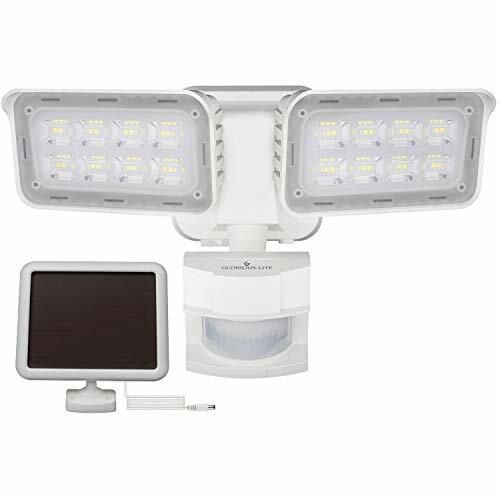 Motion Sensor - up to 17 feet and 120 degree detection range. 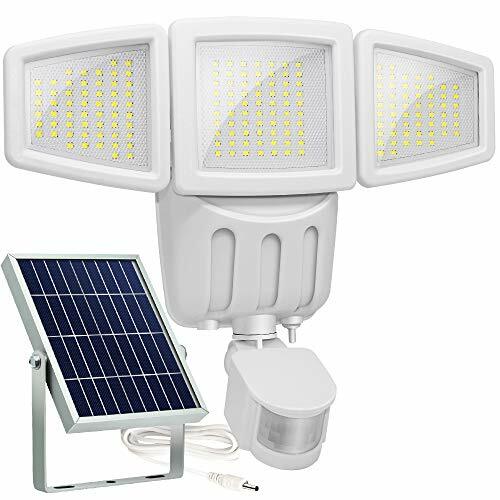 100 LED Super Bright IC ICLOVER Solar Lights equipped with 100 upgraded high power LED and newest energy management chip,provides excellent illumination up to 1000 lumens,which is far brighter than other LED solar motion lamps. 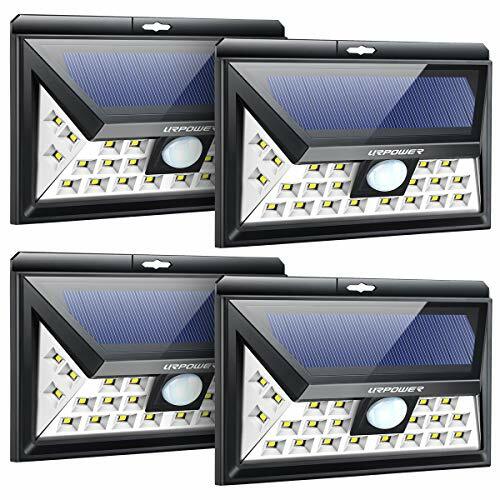 270 Wide Angle Lighting The solar wall lights by using exclusive 4-Side Built-in LEDs Wide-angle Lighting Design, the illumination range can be improved up to 270 . So the coverage area has been upgraded almost three times than before. 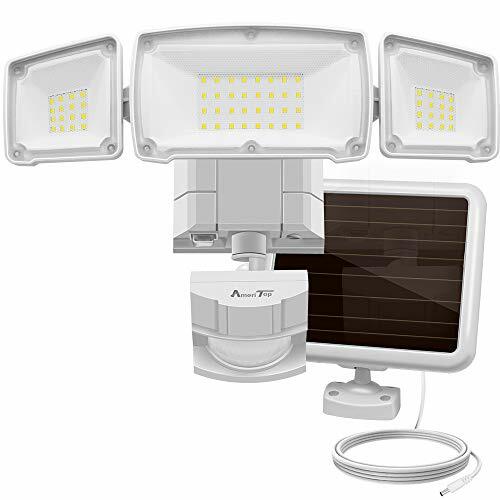 120 & 17FT Sensor Range The solar wall lights with powerful sensor ball head offers strong motion sensitivity up to 9-17 feet and 120 degrees sensor angle. So the motion can be easily detected then offer you the convenience. 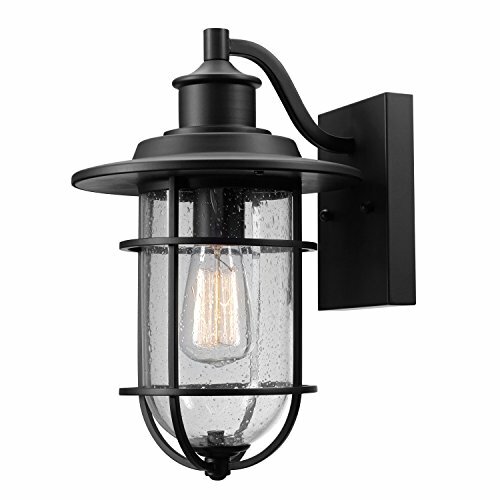 3 Working Modes available The waterproof outdoor wall lights with Sensor Mode+ Dim Light Sensor Mode+ Bright Long Light Mode can be widely used for garden, patio yard, deck garage, driveway porch in all weathers. 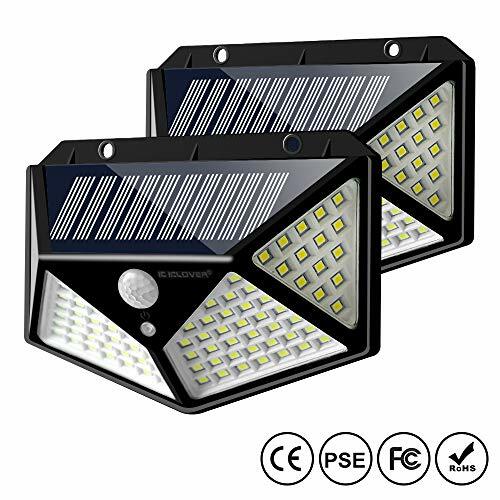 Professional Tests & Warranty The Security Night Lights have passed the certification of CE,FCC,RoHS and PSE test.And it's IP65 waterproof can completely protect circuit and battery.We provide 2-Year product warranty and 7*24hrs friendly customer service.